Kush has performed and/or recorded with many notables including Ravi Coltrane, Chris Potter, Nicholas Payton, JD Allen, David Weiss, Andrew White, Gilad Hekselman, Azar Lawrence, Terrance Blanchard, Frank Lacy, Jeremy Pelt, Tomasz Stanko, Barry Harris, Gary Thomas, Jared Gold, George Colligan, Dave Stryker, Josh Evans and David Gibson among others. 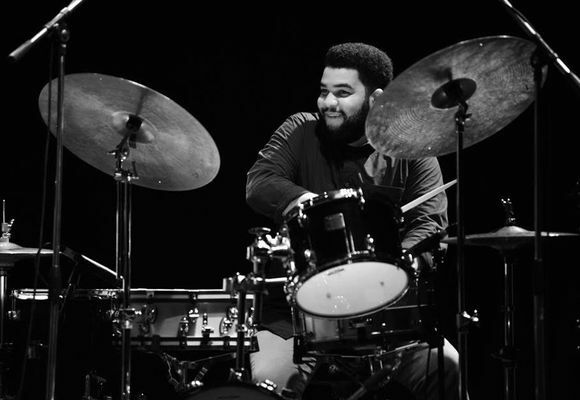 At age five, Kush began to study piano with Harlan Jones at the New Sewell Music Academy, and soon afterwards began playing percussion in the Fred Foss Jazz Youth Orchestra. He also studied jazz improvisation with Jeffrey Chappelle and percussion with Tom Teasley at the Levine School of Music. Kush has performed primarily as a soloist for various community service projects taking the music to those who don't necessarily have the opportunity to go to live concerts; as well as to audiences at the Kennedy Center Millennium Stage. Kush was the youngest artist to date, ever selected for the Strathmore Artist-in-Residence program for performance and composition. One of his most prestigious accomplishments was in 2008, when he was invited to perform for "Jazz at the White House" hosted by Michelle Obama. There he performed in an ensemble led by Paquito D'Rivera featuring Wynton Marsalis. He was invited back to the White House in 2010 to be featured in a Harpers Bazaar photo shoot with the First Lady Michelle Obama.